Have You Got Your SS15 LWD Yet? From delicate layers of chiffon, to sporty fabrics and retro cuts, white dresses have created a whole new trend for the current season – and we love it. From power pleats for the office, to white lace in place of a LBD, this is the new way to wear blanc this summer. If you’re wearing white head-to-toe (we highly recommend it), then finish off your look with a micro bag and white flatforms or trainers to make sure your look is up-to-date. Take a softly-softly approach to the trend with a bone shade. This Range Pleated Dress by Pinko is so beautiful; it’s a total non-brainer. Perfect for garden parties, evening events and weddings. We love. Don’t drop your style guard at the weekend: Keep your look directional with an easy SS15 update. This Pleated Knee Length Dress by McQ Alexander McQueen is sporty yet structured and will instantly freshen up your weekend wardrobe. 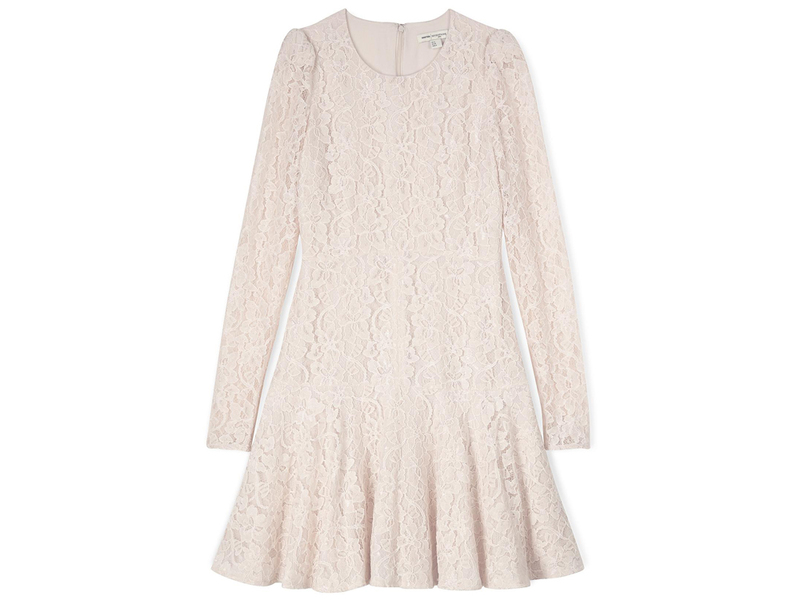 Every girl should own at least one white lace dress this season. Promising to be your new staple for after dark, this Rosalin Frill Skirt Dress by Reiss is ticking all the right boxes for us. Team with statement white footwear to complete the look. Get 30% off all SS15 at Very Exclusive (excludes ghd & AW15) with their Friends & Family event. Just use code 6FW63 at checkout before midnight 25.05.15.